Alpha Centauri may have won "only" the Tattersalls Falmouth Stakes by four-and-a-half lengths at Newmarket yesterday, but the grey filly provided racing with a second wow moment of the summer when, going into the Dip with all her rivals already hard at it, jockey Colm O'Donoghue let out an inch of rein. In half-a-dozen strides she went four lengths clear, drawing gasps from the crowd, and it put to bed her third straight Group One in a blink. From then, the only race was for second and the runner-up Altyn Orda was flattered to finish so close. Alpha Centauri's six-length win in the Coronation Stakes was clearly no mirage and she is travelling fast towards the title of Europe's Champion of 2018. She has also jumped a few more rungs towards the top of an equally-meritorious ladder, the list of great horses owned and bred by the Niarchos family, headed by her great grand-dam Miesque. "Faultless", was how O'Donoghue described her and her physical ability is matched by her bombproof demeanour. She walked round the paddock like a child's first pony and, unlike a lot of horses, cover is not essential when racing. 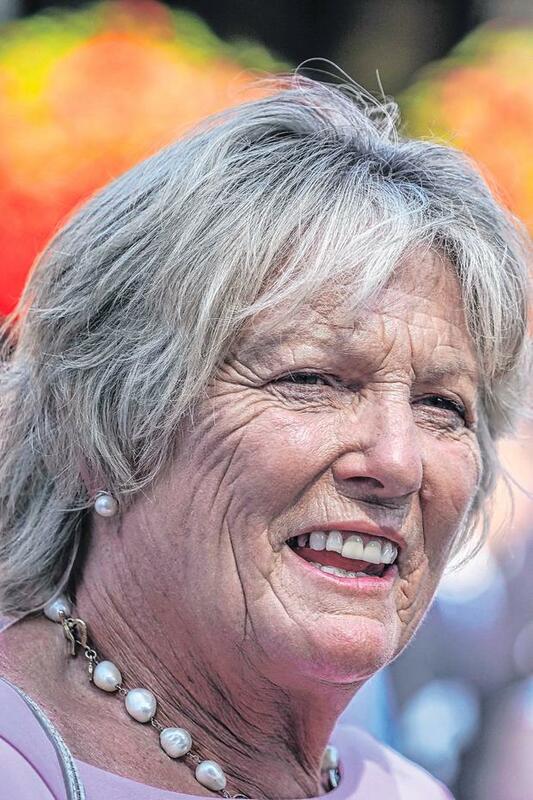 "She had to do the donkey work and it was only four-and-a-half lengths, but it was brilliant," said trainer Jessica Harrington, who admitted to waking up in the night feeling sick. "She has a high cruising speed, which really helps. Sometimes I think she is too relaxed before a race, but she is amazing. "She'll go for the Jacques Le Marois (against the colts and sponsored by her owner) at Deauville next (August 12) and I know the Niarchos family love the Breeders' Cup, so that would be fantastic." There is a new 2019 1,000 Guineas favourite after Michael Bell's Pretty Pollyanna won the Duchess of Cambridge Stakes by seven lengths, but it is not a race that will leave Frankie Dettori with happy memories. Riding Angel's Hideaway, he cannoned into Main Edition and La Pelosa about a furlong out and was given a 10-day ban for careless riding. Gary Carson Willie Mullins expects Paul Townend to keep the ride on Cheltenham Gold Cup hero Al Boum Photo when he bids to follow up at Punchestown next week. Michael Verney Like a fine wine, Ruby Walsh just keeps getting better with age.